This is the first in a short series, looking back on some of the extreme weather events in the last year or tow, which were blamed on climate change. 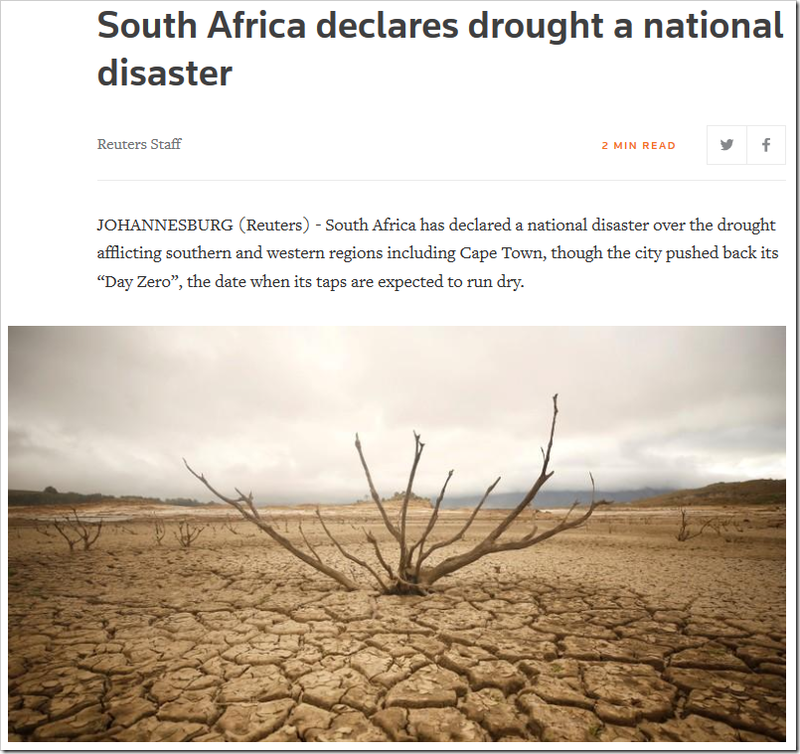 Running water in the port city of 4 million has been affected by a wider pattern of climate change seen around the country including the Western Cape, where Cape Town is located, the Northern Cape and Eastern Cape provinces. As I showed last February, the drought, while exceptionally severe, was not unprecedented. But how are things looking at the end of 2018? After all, it had been claimed that such droughts would become much more common. 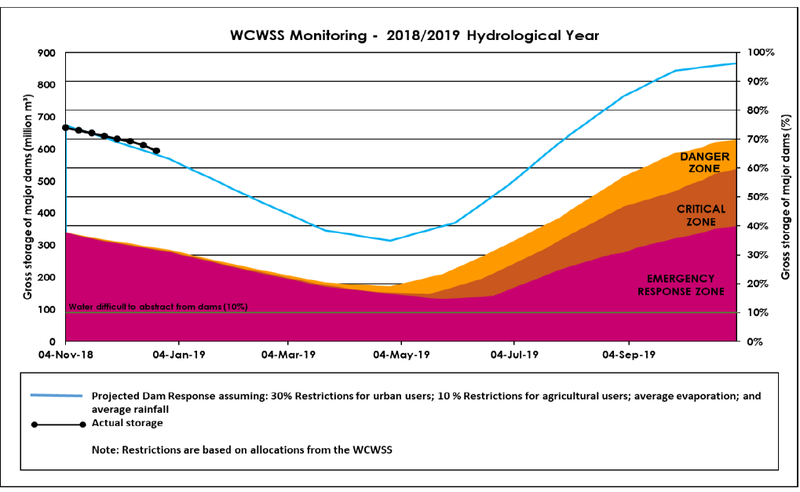 According to the official data from the City of Cape Town, water levels in the local dams have recovered strongly since this time last year, more than doubling in volume. Indeed they now stand at the highest level since 2014. Of course, part of the recovery is down to water rationing. Water usage has been reduced by roughly 400 Ml/day in the last year. However, this would only equate to 146,000 Ml in the year, whereas water storage has increased by 305,000 Ml. In other words, over half of the increase is due to above average rainfall. Higher rainfall this year is, needless to say, merely weather, just as the three previous dry years were. It will take many more years of observation to determine whether the Cape’s climate really is changing to a more arid one. 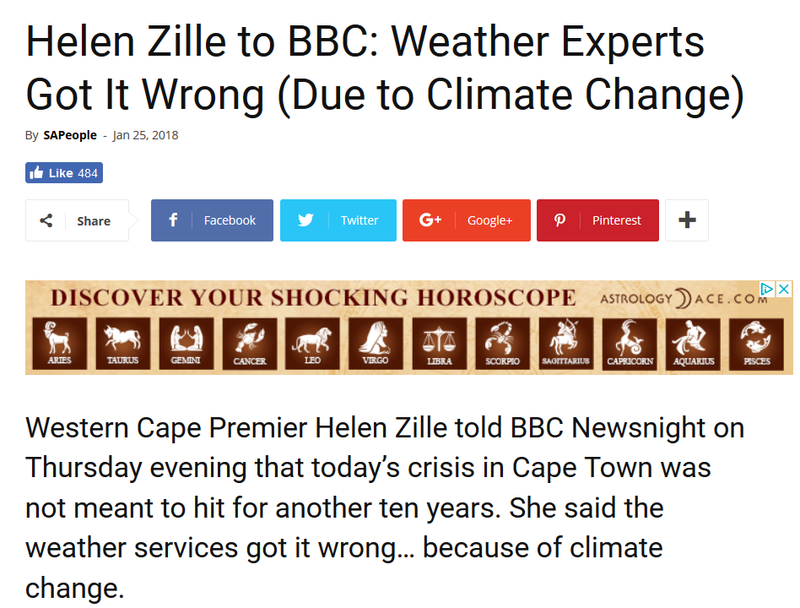 Unfortunately the climate mafia will continue to use weather events to sell their climate change scare.